What if: Feral joins to SWAT Kats? What if Feral joins to SWAT Kats? In the lasts episodes he feels more .... hope or trust ? Maybe he needs use a SWAT Kats' uniform? . Sorry for my bad english. Grettings from Peru . Re: What if: Feral joins to SWAT Kats? That'll be a laugh. Because once Feral finds out the Identities of the SWAT Kats he's gonna stab them in the back! Storm19952112 wrote: That'll be a laugh. Because once Feral finds out the Identities of the SWAT Kats he's gonna stab them in the back! I'm not so sure on that. ;3 If Feral joined the SWAT Kats. That means that Feral would have to change his mind on how he feels about vigilantes, correct? As if he joins the SWAT Kats, he is now a vigilante. Something would have to happen to Feral that would cause him to turn Vigilante. Perhaps Steele came in and some how screwed Feral over, to get Feral kicked out of the Enforcers to take position as Lieutenant. So if Feral were done wrong by Steele and had no way of getting any support from his once fellow enforcers to back him up. He may consider being vigilante if he felt that the Enforcers were being corrupted by Steele. I feel like I just rambled in a circle. But seriously. 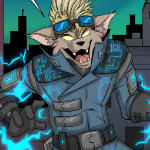 If Feral changed his mind on how he feels about vigilantes as he himself joins the vigilante SWAT Kats… I doubt he will try and kill Chance and Jake when he finds out their identities. He may be at first taken back and have a few words…. but thats as far as I would see it going. 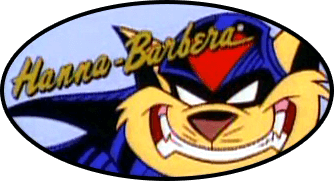 In all likelyhood, if Feral were to join the SWAT Kats, it would have to be a "Blow to the Back of the Head" style story where he forgot who he was and due to some series of coincidental events, believes himself a SWAT Kat... Because I don't see how you would keep Feral in character while making him fight crime in an illegal fashion. If Feral was betrayed by Steele or someone like that who go him kicked out of the enforcers with no way back, I could see him setting up his own PI office first or becoming a bountyhunter. Something still legal with the rules and order to guild him. To become a vigilante, Feral would have to throw away everything he believes in and we've seen on this show that Feral has firm and strong character. NeeKnight wrote: To become a vigilante, Feral would have to throw away everything he believes in and we've seen on this show that Feral has firm and strong character. You have a very good point there Nee. It would be very very hard for a character like Feral to go against the rules. He is all about the law. There is No war Feral would join the swat kats. I agree with Nee that there would have to be some reason that would make him desperate enough to become a vigilante. If he ever did join them though, I think there would be a lot of bickering as Feral would try and take command which T-Bone and Razor would so not allow. XD I also figure Razor may be more likely to accept him as part of their team than T-Bone as T-Bone REALLY can't stand the guy. LOL wonder what Feral's SWAT Kat name would be? Stoneface? Mega-chin? Scowl? I can see Feral going by the call sign 'Wildkat'.